Ji Ji Zarina Baloch Sindhi Legendary Artist. She was born in 29th December 1934 in Allah Dad Chand Village, Hyderabad Sindh. Ji Ji Zarina Baloch joined Radio Pakistan Hyderabad in 1960 and also she received her first Music Award in 1961. Her Sindhi songs audio are very popular in all over Sindh. She is most popular Sindhi Sindhi Classical Music, Sindhi Lok Music Sindhi Lok Geet Artist. She was great Artist of Sindh and create great name in Sindh Music. She sung Sindhi Lok Geet, Sehra and Sindhi National songs. 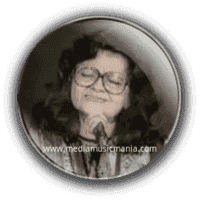 Due to her great struggle in music she earned the title of "JeeJee" means "Mother" of the Sindhi people and also she was founder of Sindhiani Tehreek. She got Shah Latif Award, Waheed Murad Award, Shah Sachal Sami Award, Lal Shahbaz Award, Sachal Award, SGA Award, SANA Award, WSC Award, Ram Panjwani Award. She also got PTV Award, Sindhi Sadaeen Gad Award, Faiz Ahmed Faiz Award and the Pride of Performance Award. Ji Ji Zarina Baloch was Folk Singer of Sindh and Sindhi peoples like her lot of Sehra and other songs. I have selected below her most popular Sindhi Sehra and Sindhi Folk Music of Zarina Baloch. She was great name of Sindhi Sehra, Lok Geet Music and Pakistani Sindhi Music. She was very popular singer of Pakistan and specially in Sindhi Music. this legendary Artist of Sindh was died on 25 October 2005.